We would like to thank Vanessa Papas for the editorial, and for supporting our cause! On behalf of Team RRSA, we would like to express our sincere appreciation for your continued motivation and support as we worked on our first official project Friends of the Pound. Our team spent many hours negotiating with authorities, and our volunteers spend many hours helping us to improve the way the animals at the Atlantis Pound lived. Thankfully with the support of Mr Allan Perrins of the Cape of Good Hope SPCA and Alderman JP Smith, we have managed to have these incarcerated dogs relocated to a venue where they are now exposed to proper animal husbandry and 24/7 veterinary care. We will continue to support the Animal Pound Unit, but it has now been handed over to the good and capable hands of the SPCA. Working on this project has been humbling and a great deal was learnt over the past 6 months. A full report on the outcome of this project will be published in our Quarterly Stakeholders Update. Also a big thank you to the media who have taken interest in our organisation and we will keep you updated on published articles. Please see the double page article in this week’s People Magazine (Issue 30). Thank you People Magazine for the support! “The butterfly effect is the concept that small causes can have large effects. This is exactly what happened when a group of animal warriors visited the Atlantis Pound in Cape Town. Owned by the City of Cape Town’s and managed by the Law Enforcement Unit, the pound is a holding place for animals embroiled in legal battles. When police pick up a stray, injured or lost dog it goes straight to the SPCA but, if a legal case is opened between two parties that involves the dog, it gets impounded. 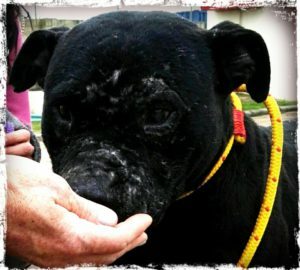 The owner then needs to fight for the dog back in the local court. Docket case dogs include dogs who have attacked livestock, another dog or human, or were exposed to a dog fight. The sad part is that many of these dogs are victims of their own surroundings, such as being teased, abused, or left with little shelter and appropriate care – forced to often fend for themselves. Rescue Rehab South Africa (RRSA) is a newly launched organisation that is unique in the way that it aims is to help the people in animal welfare organisations with whatever it is that they need to maintain and function optimally in their various communities. By doing so, rescue organisations in turn helps the masses of animals that come through the doors of these organisations. “In early April 2016 we stumbled upon the local animal pound for the City of Cape Town. To our horror, we realised that this is not an animal rescue or shelter like most of us are all familiar with, it is in fact a dog prison. 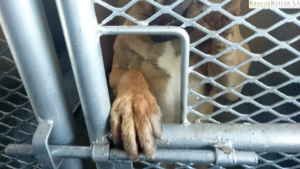 Overwhelmed by the experience and left feeling devastated for the animals incarcerated at the pound, the RRSA Team set out to share their findings with their local Cape of Good Hope SPCA, who in turn shared their concern with the City of Cape Town. The team received instructions from The Safety and Security Directorate Alderman JP Smith to start a ‘Friends Of The Pound’ group and help to try and get the City Pound in order. 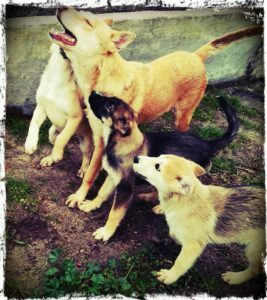 The team set up systems, invited volunteers to join them and started a weekly Friends Of The Pound outreach programme where once a week a volunteer would visit these dogs and pound staff. Rescue Rehab SA – who is the management body for Friends of the Pound, are working on a Best Practice model for all animal pounds in South Africa. 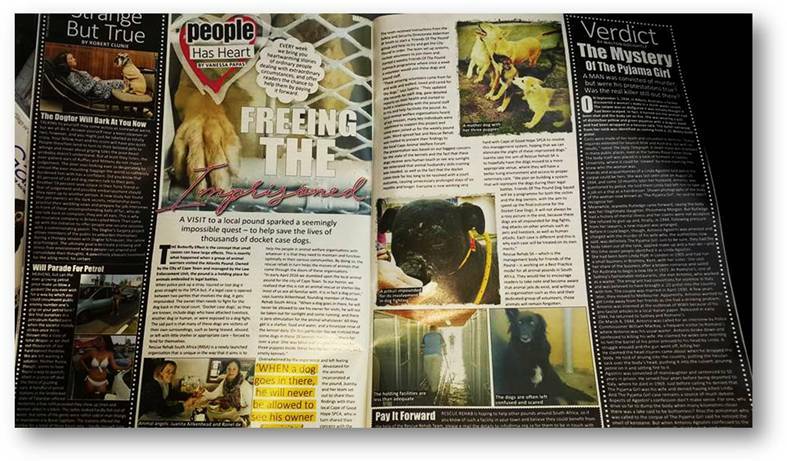 They would like to encourage readers to take note and become aware that animal jails do exist, and without an organisation such as this and their dedicated group of volunteers, those animals will continue to be forgotten. Pay It Forward RRSA is hoping to help other pounds around South Africa, so if you know of such a facility in your town and believe they could benefit from the help we offer, please email the details to info@rrsa.org.za for assistance. If you are in the Cape Town area and are able to help with donations of dog food, funds to help facilitate veterinary care, sterilisations, dog blankets, leads or collars, dog toys or chews or would like to volunteer, please make contact with us.